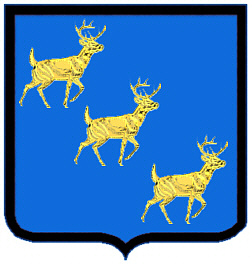 Coat of Arms: On a blue shield three gold stags. Caledonia is another name for Scotland. 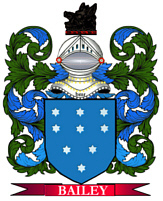 Many Scots have surnames that are not linked to any one clan. Spelling variations include: GREEN(E) (British). Possibly a modern form of the ancient Irish name "MacUaithnin". GREEN(E) (British). "Village green"; or "immature, inexperienced." First found in Kent where they held a family seat from very early times. Some of the first settlers of this name or some of its variants were: John Greene settled in Boston in 1625, and another John Greene was Deputy Governor of Rhode Island in 1637; Mr. Greene settled in New England in 1652. Greene is a name of ancient Anglo-Saxon origin. It is derived from the Old English "grene," meaning "green," and was most likely first borne by a family who lived in the village greene, the center or main square of a region. Alternatively, it may have been bestowed as a nickname on someone who was particularly fond of dressing in green. Spelling variations include: Greene, Green and others. First found in Kent, where the greene family held a seat from very early times. Some of the first settlers of this name or some of its variants were: Aderton Greene, who came to Virginia in 1623; John Greene, who settled in Boston in 1625; Abigail Greene, who arrived in Boston, Massachusetts in 1632.